Here at Beaufort House Chelsea we love to celebrate Christmas the classic way – with champagne, cocktails, food, and of course the best of company. We have a variety of treats on offer – from our rich and plentiful dining options to our exclusive festive canapés & cocktails.Treat friends and family to a private dining experience; stop by for an indulgent lunch or dinner, party the night away with work colleagues or dive right in with a fun cocktail master class. Whatever you fancy, we can make it happen here at Beaufort House Chelsea. Our dedicated Events Team are now taking bookings, so contact them today for a bespoke proposal. Call them on Tel: 020 7352 2828 or email them at events@beauforthousechelsea.com. 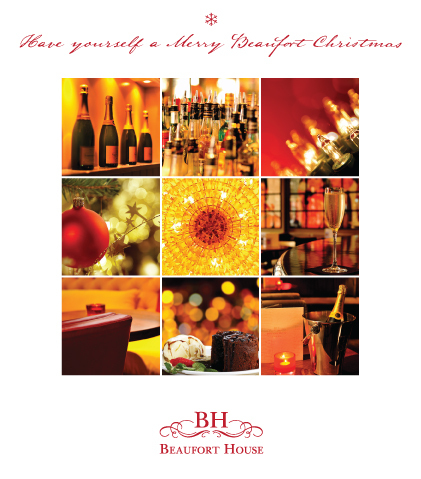 Make Beaufort House your home this Christmas.